The mall is kind of one of my favourite places to go to. Some people may think that’s a bit odd, but I mean what’s not to love? Tons of stores to find good deals to update your wardrobe and get cute outfits for your kids, buy books and stuff for your home, a food court to fill your tummy when you don’t feel like cooking and a play area where the kids can have fun and get out of the house on a blustery winter day. It’s even better when the holiday season starts. All of a sudden, the mall is full of more shoppers, more deals, beautiful decorations and people (most of them) are just happier at this time of year, it’s contagious! 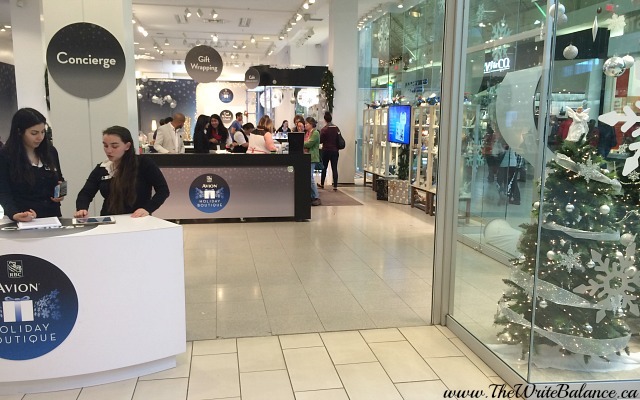 Last year I discovered something at Coquitlam Centre that made holiday shopping even better, the RBC Avion Holiday Boutique. It’s a place where people can get a break from the hustle and bustle of the season and recharge a little, both themselves and their phones and get some serious VIP treatment. When I heard the RBC Avion Holiday Boutique was already open this year, I headed to the mall to get started on my shopping. When I first got there, I showed them my RBC Avion Visa and I headed inside. I dropped off my jacket at the coat check and sat down for a nice cup of tea before I started shopping. After I had tackled some shopping and my bags were full, I came back to the lounge. It was so great to be able to shop without the heavy jackets and parcels, I didn’t get sweaty at all! I dropped off some presents to be gift-wrapped, free-of-charge! It was such a big and beautiful space that I decided to sit down and relax while I waited for my gifts. I got a glass of lime water, some yummy cookies and sat down on their comfy white couches and recharged my phone as I waited. It was fabulous! And I don’t want to forget to tell you that they have these wonderful displays of items like Lego, designer hand bags and sunglasses and even electronics that you can win for friends and family. I will be visiting the lounge for the rest of the holiday season as it is open until December 31. This time it was great shopping on my own and to relax at the lounge in the midst of all the holiday hubbub sans children. Next time I’ll probably have two toddlers in tow and I know they will love the lounge too! It’s very kid-friendly with a live pianist, hot chocolate, treats and more. 3. 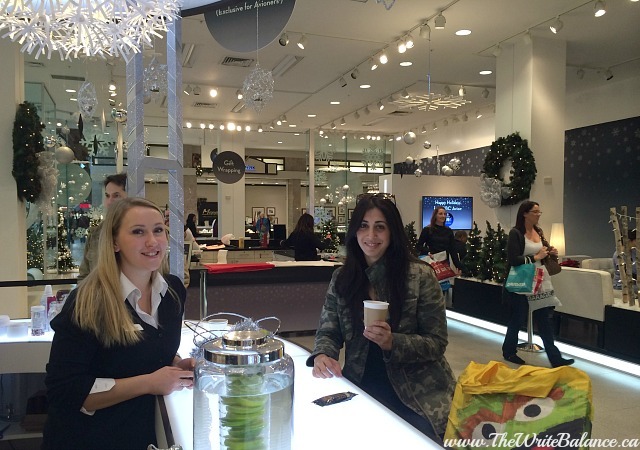 Coquitlam Shopping Centre – Nov 22nd to Dec 31st. If it all sounds too good to be true, then you have to check it out for yourself as you head out for some holiday shopping. 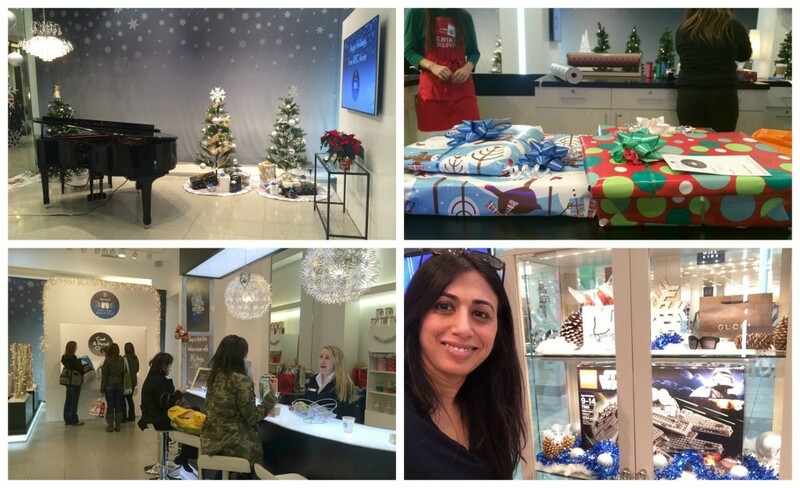 Trust me, it’s worth it for the VIP treatment and it’ll make you look forward to all your holiday shopping when you know that you have the RBC Avion Holiday Boutique to help you relax and Shop In Style. 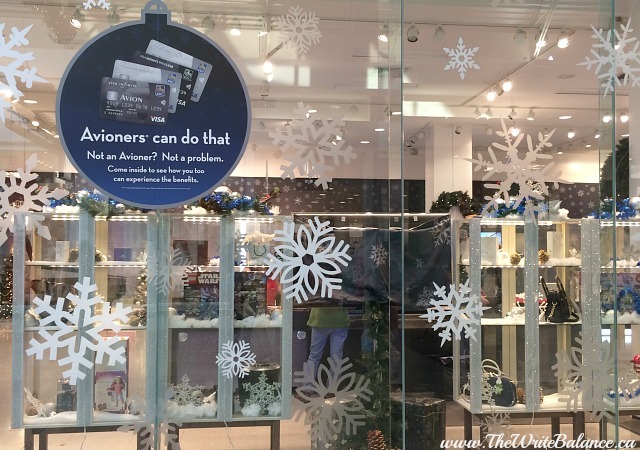 Disclosure: I am part of the RBC Avion Holiday Boutique Blogger Campaign with Mom Central Canada and I receive special perks as part of my affiliation with this group. As always, the opinions on this post blog are my own and I seriously love this holiday boutique lounge! p.s. After I showed my kids this blog post, they remembered their experience from last year and now they can’t wait to go too! What a great way to shop and get a nice break! I love the fact that they offer so many services. The fact the they are child friendly is an excellent bonus! Happy Shopping! Nice blog. Thanks Tami and yes, it’s a great way to shop especially because it’s so kid-friendly! Nothing at all like that where I live in upstate New York. I’m not even sure Destiny, USA (one of the largest malls in the United States, about a 70 minute drive from where I live) in Syracuse, NY has anything like that. Enjoy. Sounds wonderful! We are pretty lucky to have it at your local mall Alana, thanks. Happy holidays. Gosh, this looks very posh! It is very lovely Sophie! And you don’t have to be wealthy to get in! It’s free if you have an RBC Avion Visa card or you can pay a flat fee to get the services. It’s really great and affordable! This looks SO awesome! I love heading to the mall at Christmas, but to have a place to get away from the craziness and have my gifts wrapped? Even better! Well, that’s super nice! Nothing like that here. I spent $40 getting lunch at the mall for me and my girls. Crazy expensive! I might be more inclined to shop the mall here if I could relax in a space like that. Oh my goodness, that is an expensive mall lunch Jenn! Have a holiday boutique like that does make you more inclined to shop, especially during the busy time of the holidays. Wow, you seem like you had a wonderful time. They offer a lot of services there. I can see why you like going. Thanks for sharing. Thanks Nate, it is very enjoyable. It’s been many YEARS since I entered a shopping mall and took the day in just browsing and/or window shopping. The place you visited sounds wonderful! I wonder if our mall has an area like that inside it? Of course, I’ll never know unless I take a day to go to the mall, right? Still… it’s fun reading about your adventurous day at the mall. Hope you had fun! Yes, even window shopping can be fun Avery. I hope you have a great time holiday shopping and thanks, my kids did have fun!